Award-winning author Helon Habila has been described as "a courageous tale teller with an uncompromising vision...a major talent" (Rawi Hage). 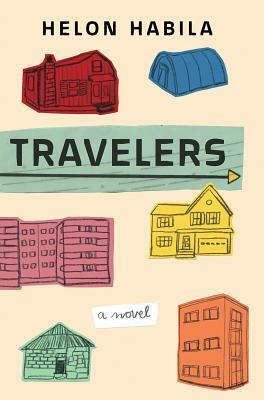 His new novel Travelers is a life-changing encounter with those who have been uprooted by war or aspiration, fear or hope. A Nigerian graduate student who has made his home in America knows what it means to strike out for new shores. When his wife proposes that he accompany her to Berlin, where she has been awarded a prestigious arts fellowship, he has his reservations: "I knew every departure is a death, every return a rebirth. Most changes happen unplanned, and they always leave a scar." In Berlin, Habila's central character finds himself thrown into contact with a community of African immigrants and refugees whose lives previously seemed distant from his own, but to which he is increasingly drawn. The walls between his privileged, secure existence and the stories of these other Africans on the move soon crumble, and his sense of identity begins to dissolve as he finds that he can no longer separate himself from others' horrors, or from Africa. A lean, expansive, heart-rending exploration of loss and of connection, Travelers inscribes unforgettable signposts--both unsettling and luminous--marking the universal journey in pursuit of love and home.